These bracelets are made from wood beads, some of them with hand-painted accents. They are on stretchy-cord, and they come 3 to a set. 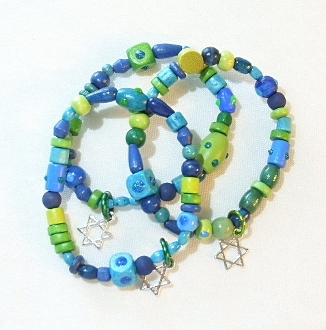 Each bracelet has a Jewish Star Charm. These are a BLAST to wear! Made by Desert Kippot.